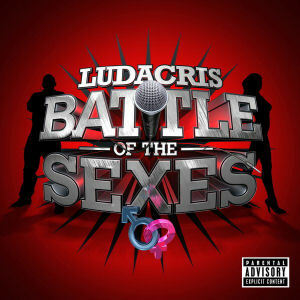 RapReviews.com Feature for March 9, 2010 - Ludacris' "Battle of the Sexes"
Ludacris to me was always the new Busta Rhymes. Aside from making energetic club banger classics, and occasionally dropping stunning guest verses (his "Made You Look" verse is still worth checking for), there was also the flip side - I would never buy a Ludacris album. Seriously, never. Or a Busta one. They were always "Greatest Hits" dudes. But hey, Busta proved me wrong last year - I ended up making "Back On My B.S." my second favourite album of 2009, so it makes sense for me to give Ludacris an unbiased, fair crack at crafting a long play worth spinning on repeat. So how does "Battle of the Sexes" - which has almost infinite potential as a concept - manage to end up? Ludacris albums, of which there has been steady stream of seven in the last ten years, seem to have been getting consistently less relevant, with Luda getting confused between doing what he does well (radio hits, club tracks and street bangers), and striving for critical respect (anything else). Unfortunately, songs like the truly appalling collabo with DJ Premier, Nas and Jay-Z , "I Do It For Hip Hop," and the slightly less worse "Runaway Love" have dovetailed with club or radio coverage becoming more elusive. Still his ambition to improve as an artist of "Theater of the Mind" was, at the very least, admirable. Here on BOTS, however, Ludacris seems to keep things very simple. If I was left a touch disappointed by the latest Ghostface effort, which was promising in subject matter/concept but lacking consistency throughout, this is a relatively more straightforward effort from the type of rapper that could pull off something similar with a touch more panache. We have club bangers like the excellent "How Low" - which has already ripped up the charts (check), torn up dancefloors (check) and been used in countless freestyles (check). Rising star, Nicki Minaj, impresses (or holds back the tide of feminism, depending on your point of view) on "My Chick Bad" - a darker, stripped down beat providing less energy but more meat. "Party No Mo" features Gucci Mane, and it's a subtle but satisfying street banger, if rather clichéd. Luda, on the other hand, is seemingly on autopilot for vast stretches, frequently getting out-rapped by the female contingent (Nicki Minaj, Shawnna, Lil Kim, Trina, Eve… Pretty much everyone except Jean Grae and Lauryn Hill). Sure, he'll chip in with a slick punchlines every couple of verses, but one can't quite tell if he's just meshing into the track or if he's actually just lost confidence or faith in his own ability. A bonus track "Sexting" - which seems to be a bit of a Tiger Woods tribute - is actually more of the cheeky and clever "old" 'Cris that you can't help but be a bit charmed by, even if you secretly know it's a bit obvious. But, as usual, these moments are few and far between on his latest album. It doesn't mean that it isn't consistent - because it is - and this is certainly an album with some merits. It's just that a few days of sunshine don't make a summer, and in rebooting his franchise, he's probably going to alienate a large portion of fans that realise his albums from nine or ten years ago were better, or that albums like "Theater of the Mind" at least tried to show progression. I honestly think that Ludacris would be better off JUST releasing singles and ringtones. At the end of the day, the concept of BOTS comes across as a touch half-baked but sporadically (quite) well-executed - a return to his roots and original fanbase. The beats are solid enough, if not as universally banging as circa Luda '01. The album flows well, has some replay value and tries a few little tricks here and there ("Hey Ho" is predictable but solid, "B.O.T.S. Radio" isn't the greatest but gets a point for effort). It is also relatively lean, with an intro and twelve songs (almost always a great idea), and, depending on where you are in the world, various bonus tracks and remixes. So even though he doesn’t really do the concept much justice, there are still a bunch of positives, yes. There is one problem, however, that matters to a select group of people - not everyone, but at least you and I. The lyrics are instantly forgettable, no matter how many times you listen. There are a couple of songs, such as "Can't Live With You" which hold interest, but the rest are vacuous, but not even with particularly compelling or funny wordplay. At this stage of his career, you start to wonder what really motivates Ludacris anymore, and there aren't too many definitive answers on BOTS. That doesn't stop it being a fairly enjoyable album, working well enough as background/car music with decent choruses and a couple of hits. Actually, that pretty much sums up the extent of his ambitions.